Lovers of comedy should make a point of visiting Jamestown, the home of the brand-new National Comedy Center, the Lucille Ball Desi Arnaz Museum and Center for Comedy, and Desilu Studios, the latter two built in honor of the town&apos;s most famous daughter. In this small town, there are plenty of attractions and historic sites to keep visitors busy and entertained for a weekend. 7 pm: Hit the Pub, for some family-friendly fare since 1965, a top pick for regional specialty beef on weck. 9 am: Start your day off with a "Lucy Latte" and a bagel sandwich at Crown Street Roasting Company, a spot that roasts and grinds all its own coffee in-house. Fresh-baked goods are also available. 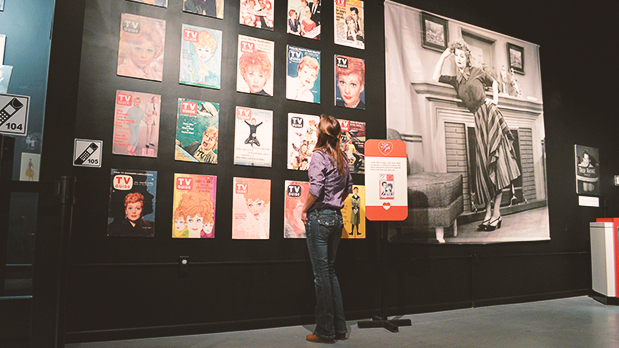 10 am: The Lucille Ball Desi Arnaz Museum at the Lucy Desi Center for Comedy is a tribute to Jamestown&apos;s most famous daughter, offering a personal look at the lives and careers of TV&apos;s first couple of comedy with an array of permanent and interactive exhibits. It also maintains a significant collection of the comedy duo’s personal belongings. Costumes, gowns, photographs, letters, scripts and awards are among the memorabilia on display. 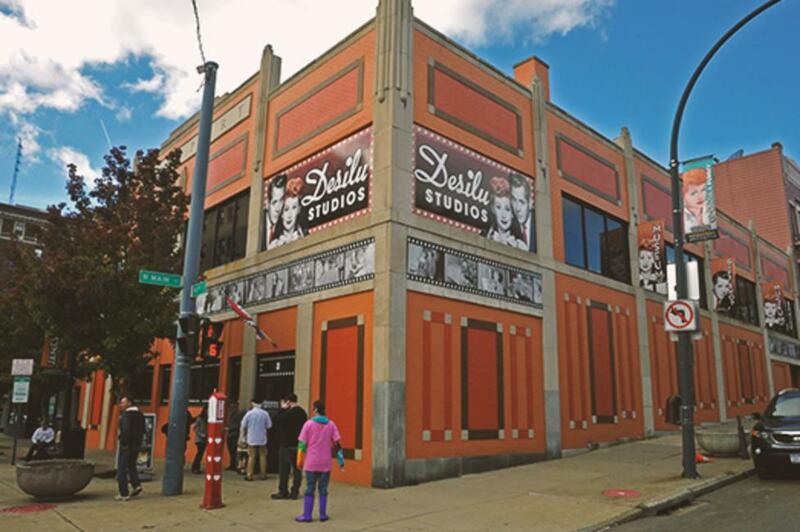 You can also visit the Desilu Studios, which are devoted to the “I Love Lucy” TV series with complete re-creations of Lucy and Ricky Ricardo’s New York City apartment and other sets. You can even stop by the Tropicana Room, the re-creation of the one and only Tropicana nightclub. Leave yourself about 1 1/2 to 2 hours to enjoy everything the museum has to offer. 12 pm: Continue on your tour of Lucy’s life and legacy by stopping by her birthplace and childhood home at 69 Stewart Avenue in Jamestown and 59 Lucy Lane (Formerly 8th Street) in Celoron, respectively. Then pay your respects at the final resting place of Lucy and her family at the Hunt family plot in Lake View Cemetery in Jamestown. Lucy’s hometown honored “America’s Favorite Redhead” with five larger-than-life murals painted by local artists Gary Peters Sr. and Gary Peters Jr. that can be found around town. 1:30 pm: Hit the Havana Cuban Café and Pizzeria for authentic Cuban cuisine. 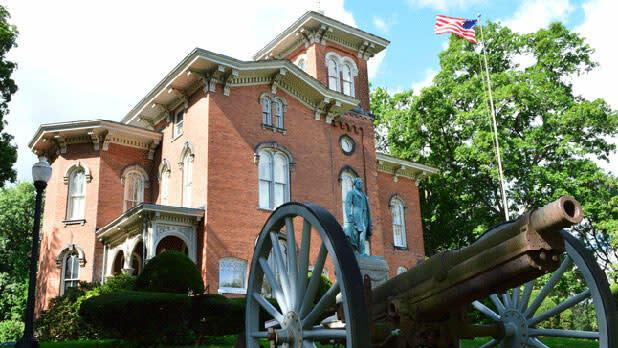 3 pm: The Fenton History Center, which was the former mansion of New York State Governor Reuben E. Fenton, who went on to serve in Congress and the Senate, is now a museum and research center focused on the heritage of Jamestown and Chautauqua County. 5 pm: If you’re looking for a vintage treasure (that may have once been worn on TV or in a movie!) to take home, be sure to stop by the Dykeman Young, Inc. Gallery and Vintage Emporium, which is a unique combination of an art gallery featuring local artists and a vintage clothing store. Many of the clothing items have appeared in several major motion pictures and popular television shows. 7 pm: Make reservations for dinner at Forte, a recipient of TripAdvisor’s Certificate of Excellence and included in a roundup on Thrillist of best restaurants outside of New York City. Forte offers many appealing options for a night out. It is a cocktail lounge and a wine bar. It serves great sushi as well as an all-inclusive steak and beer dinner deal. It’s also a dance club, a rotating art gallery and a part of the growing arts corridor in downtown Jamestown. 10 am: Start your day with brunch at Phil N’ Cindy’s Lunch, a classic diner. 1 pm: The Jamestown Audubon Nature Center & Sanctuary in Kiantone is the ideal place for nature and animal lovers. Their 3-story nature center contains a small collection of live animals including fish, reptiles and amphibians, interactive displays and a store. They also care for a non-releasable bald eagle named Liberty. If the weather permits, set out on over five miles of beautifully maintained trails on wetland preserve that includes a native tree arboretum and several educational gardens. They offer special events throughout the winter so check their calendar for more info. Admission is free for everyone on Sundays. 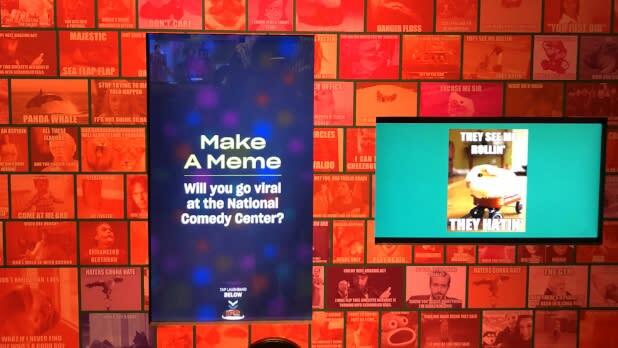 2:30 pm: The National Comedy Center opened in August 2018 and is the first of its kind, dedicated to the art of comedy, all of your favorite comedians, and laughter. With more than 50 interactive exhibits, special wristbands that let you into certain areas depending on your age and interests, and a variety of events, you&apos;ll definitely go home with a smile on your face. By train: Travel Amtrak from Toronto, Albany and New York City to Buffalo’s Exchange Street station (BFX) downtown. Then take a bus or drive to Jamestown.